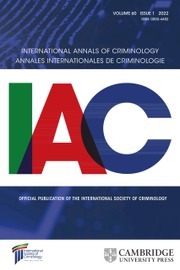 This updated and expanded edition is a unique examination of qualitative research in the social sciences, raising and answering the question of why we do this kind of investigation. 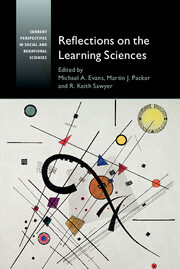 Rather than providing instructions on how to conduct qualitative research, The Science of Qualitative Research explores the multiple roots of qualitative research - including phenomenology, hermeneutics, and critical theory - in order to diagnose the current state of the field and recommend an alternative. The author argues that much qualitative research today uses the mind-world dualism that is typical of traditional experimental investigation, and recommends that instead we focus on constitution: the relationship of mutual formation between a form of life and its members. Michel Foucault's program for 'a history ontology of ourselves' provides the basis for this fresh approach. The new edition features updated chapters, and a brand new chapter which offers a discussion on how to put into practice Foucault's concept. 16. The concrete investigation of constitution. Martin Packer is Professor of Psychology at the University of San Buenaventura, in Colombia. He has taught at the Universidad de los Andes, Columbia, the University of California, Berkeley, the University of Michigan, and Duquesne University, Pennsylvania. His research has explored many aspects of children's development, in social and cultural context. 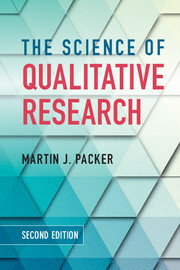 Packer is co-editor of Entering the Circle: Hermeneutic Investigation in Psychology (1989, with Ritch Addison) and Cultural and Critical Perspectives on Human Development (2001, with Mark Tappan) and author of The Structure of Moral Action, of Changing Classes: School Reform and the New Economy (1985), and of Child Development: Understanding a Cultural Perspective (2017). He was one of the founding co-editors of the journal Qualitative Research in Psychology and has published articles in American Psychologist, Educational Psychologist, and Mind, Culture and Activity.